This book is intended for a wide audience for it guides the beginner to the more advanced part of Sanskrit grammar. It facilitates the learning of the Sanskrit scriptures. It is didactic but avoids the more cumbersome rules of the typical grammar books. It can be useful to High School and College students in India and as well as abroad. The unique feature of this book is the Sanskrit transliteration in Roman Script. The primary purpose of writing this book is to enable the readers who have either no background or some background of the Sanskrit language and are desirous of reading to decipher and relish the nectar of Vedic literature written in Sanskrit language, particularly Bhagavad-gita and Srimad-Bhagavatam. His Divine Grace A. C. Bhaktivedanta Swami Prabhupada has beautifully translated several volumes particularly Bhagavad-gita and Srimad-Bhagavatam. It can also be useful to High School and College students in India and abroad. It can provide comprehensive and concise source of Sanskrit grammar in conjunction with some excellent study books, particularly with some excellent study books, particularly with dialectic exercises on this subject. I have not provided exercises in this present work. This book looks at Sanskrit as a live and vibrant language and not an ancient extinct one. To understand Vedic Literature first hand, the knowledge of Sanskrit language is a prerequisite. Grammar is a soul of the Sanskrit language. Without thorough understanding of it, one has to basically rely on the translator and accept it as authentic. I must admit after repeated reading that the translation of Srila Prabhupada not only is authentic but appropriate and befitting. It has to be due to his deep devotion and erudite scholarship. There are efforts, underway to revive the Sanskrit language to a colloquial vernacular. It is uncertain whether this effort will be completely successful. It is however clear that to understand the culture of India and to appreciate the Vedic literature which is ancient, the knowledge of Sanskrit language and its grammar is a prerequisite. Excellent books both small and big are available for this purpose. 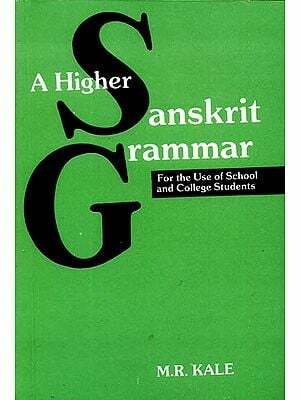 At present there is a need for a one source concise and comprehensive modern Sanskrit grammar book for the reader. I have attempted to provide a basic ground work for the beginner as well as somewhat familiar reader. I do not pretend to be a Sanskrit scholar and am certainly not able to compare Sanskrit with other western classical languages such as old Greek or Latin. 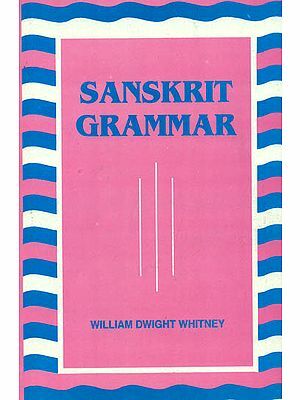 Many of the Sanskrit grammar books have been written with eastern or western readers in mind or for college students studying Sanskrit as their principle or secondary subject. I have consciously avoided complex rules and regulations on many topics, particularly on Sandhi. Often times cumbersome reading of the grammar books discourages the beginner from attempting t learn the Sanskrit language. Exhaustive and authoritative works of Panini, Patanjali etc. are already available for more serious students. Sanskrit is far too vast and intricate language for a casual reader. It is said that Sanskrit is a language of Devas or demigods. As such the alphabet in which it is written is called Devanagari Script. The first chapter deals with the alphabet. A beginner is advised to go through the vowels, consonants, sibilants and sonata aspirate carefully. Phonology with Roman transliteration and pronunciations are essential part for subsequent material presented in the book. Unlike many other current and classical languages sandhi or coalescence of the letters is extremely important part in Sanskrit language. Sandhi is governed by complicated rules and regulations which could some times discourage the reader particularly the be ginner. Instead simple dialectic examples are given in the second chapter. Mamorizing these and subsequently extrapolating similar sandhi would make it easier to break down the long sentence full of letters joined together which can be intimidating even to the advanced reader. A western reader not familiar with Devanagari script or some what familiar but not confident may be better off trying to do his own Roman transliteration which I have purposefully omitted. This would strengthen the confidence of the reader and enable to inculcate the sandhi. Nouns, pronouns and adjectives are declined in a standard fashion. Numerals can be declined in a similar way. The selection of nouns, though arbitrary, I believe is adequate for the purpose of mastering declension. Many of the words not declined in the book can easily be extrapolated. The knowledge of the nouns etc. mentioned in the book should enable to reader to decipher the verses with confidence. Much of the bulk of the book is dedicated to conjugation of verbs and classification etc. I have tried to follow the classification of Panini, as most grammarians have done. No attempt is made to divide the ten classes into two different groups, although terminations of the second group are mentioned in the bracket. Terminations of the tenses and Moods which total ten are grouped together. This can be used as a reference to figure out the conjugation of the native root (dhatu) and translate its English meaning as mentioned. In order not to increase the bulk of the book, the example of conjugation are mentioned only in the third person singular. Others can be extrapolated by the reader. The tense, moods, causatives, frequentatives etc are presented in the tabular from. This I hope simplifies the understanding. It should be kept in mind that there are over 2,000 root verbs (native) in Sanskrit language. Each verb can be conjugated in 90 different ways in parasmaipada, and 90 different ways in atamanaipada with a total of 180 different ways as in ubhaipada. The treasury of verbs can further be increased by adding one or more upasarga or prefixes in front of the root verb. In addition to that, Nominal verbs and Denominative verbs can be formed as well. This would further increase the vocabulary of verbs to a prodigious level. Participles are also given in a tabular form. There is an extensive use of compound words and verbs with upasarga or prefix in the Vedas, some understanding of this is also essential. The last chapter deals with this aspect. I acknowledge the use of some of the excellent books of Sanskrit grammar by authors like William Dwight Whitney, Prof. M. Monier-Williams, M.R. Kale etc. I have attempted to bring various subject matter of Sanskrit language grammar into one concise book. It is my humble opinion that the material presented here should be adequate to enable a serious student to understand the verses of Vedas presented in various Vedic literature. Finally I acknowledge the tolerance and dedication of my wife Ranju in accomplishing this formidable task. She put up with me during the preparation of this manuscript which took literally thousand of hours. I am deeply grateful to my spiritual masters Srila Prabhupada, Hridayananda Dasa Goswami and my Sanskrit teacher Mrs. Shanta Vishvanathan for inspiring me to undertake this monumental task. Without the enormous help of Mr. Ashish Mahendrabhai Patel, who spent numerous hours to put the whole manuscript into the computer, this book would not have come out in a timely fashion. It is my sincere hope that this book would be useful to future readers in their pursuit of studying the Vedic literature of India in the Sanskrit language.